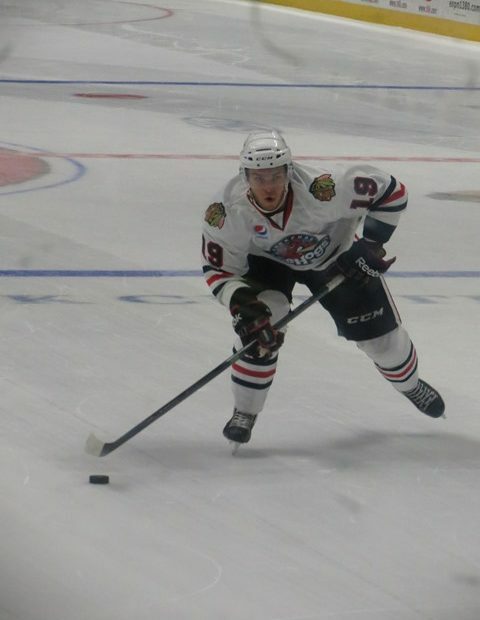 The end of week 19 of the AHL schedule featured back-to-back home games for the Rockford IceHogs. 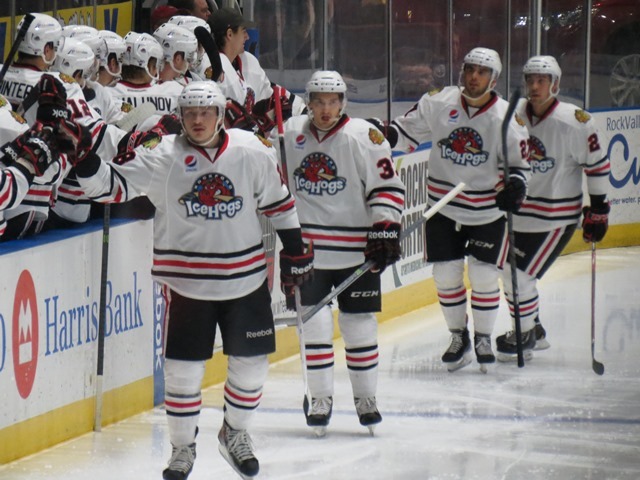 After a big win against Hamilton earlier in the week, the Hogs needed to pick up another four points against Iowa and Utica to continue their playoff push. 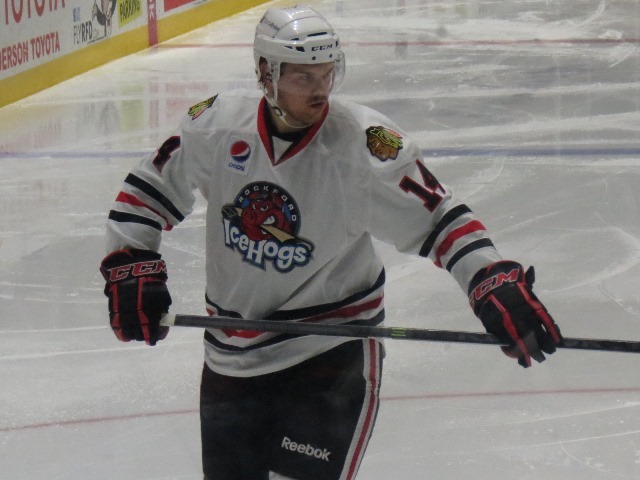 Week 18 of the AHL schedule featured the IceHogs traveling to New York for two games against the Rochester Americans and the Utica Comets. 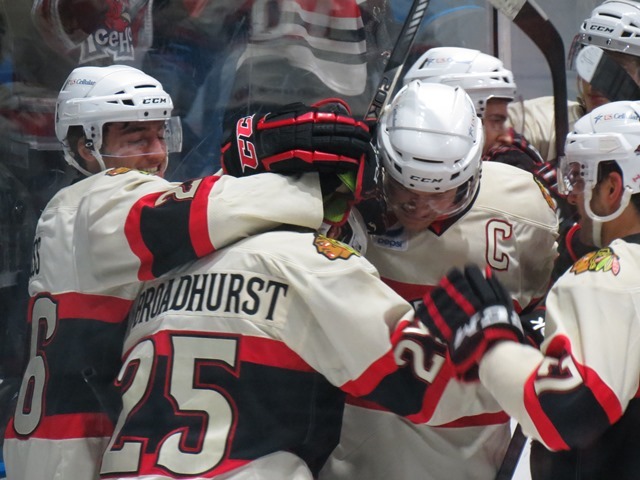 It was then back at home for Rockford to kick off week 19 with a contest against the Hamilton Bulldogs. The end of week 17 of the AHL schedule was packed for the IceHogs has they had to play three games in three nights—all against the Milwaukee Admirals. 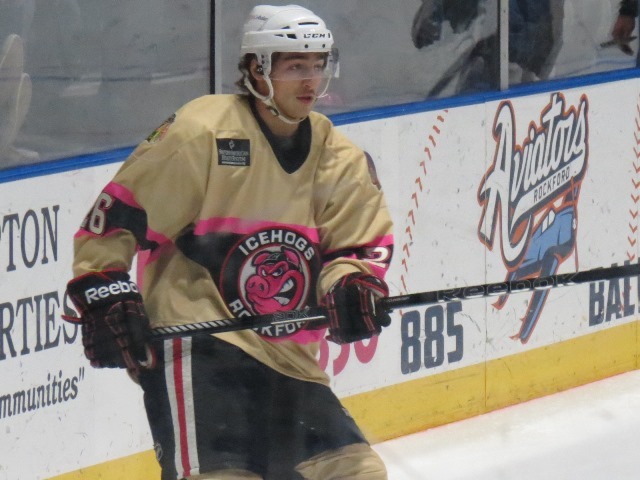 With Milwaukee having four games in-hand on the Hogs, it was very important for Rockford to grab the majority of—if not all of—the points at stake. 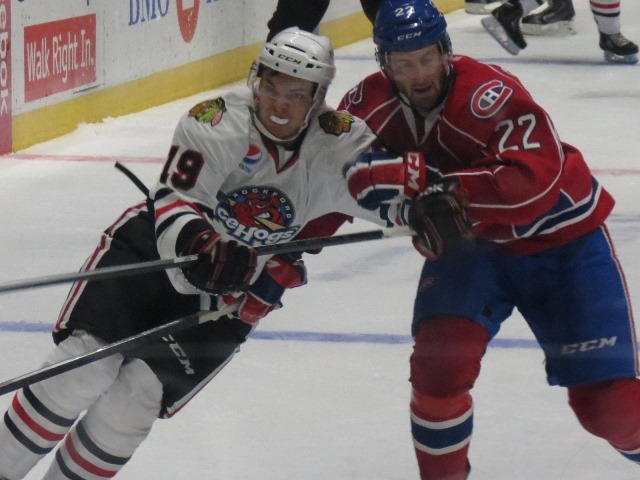 After winning two consecutive games, the IceHogs dropped three straight contests to follow up as an encore. Another losing streak is something the club doesn’t need as they continue to push for a playoff spot. 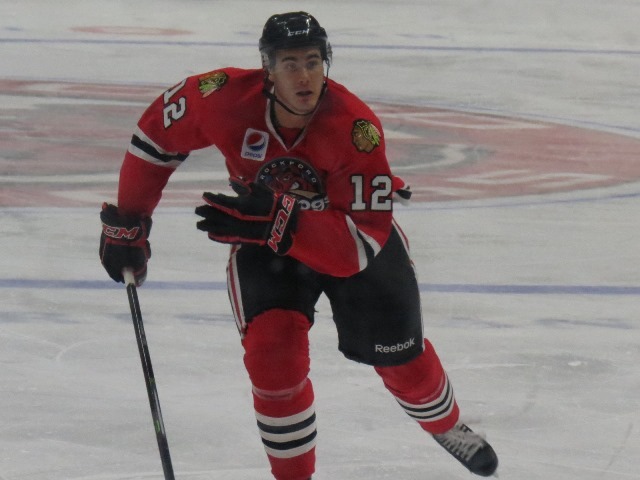 Week 15 of the AHL schedule may not have started the best way for the IceHogs, but it finished extremely well as they picked up 2 consecutive victories over the weekend against Lake Erie. Pigs In Zen: That’s More Like It? 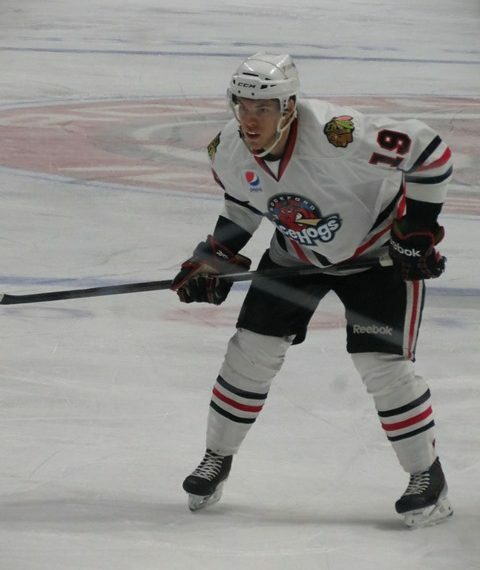 Week 14 was much better for the IceHogs than their past 6 games had been. They snapped their winless streak and picked up points in 2 shootouts against Midwest Division opponents. While it wasn’t a sweep of the weekend by any means, it was a decent way to start off 2014. 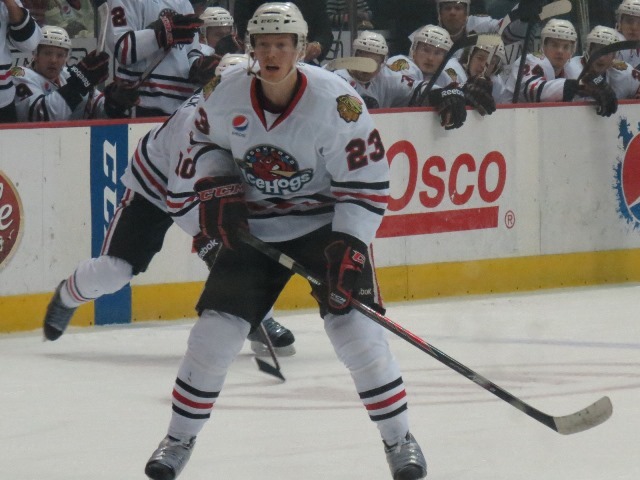 The IceHogs played 3 games to close out 2013, but none of them went their way. With these 3 losses, their losing streak stretched to 6 games and saw the club fall below .500 for the first time since November 23rd. The IceHogs played in 2 games before going into the Christmas break. The contests didn’t go the way they would’ve liked as they faced 2 Midwest Division rivals on the road and at home. 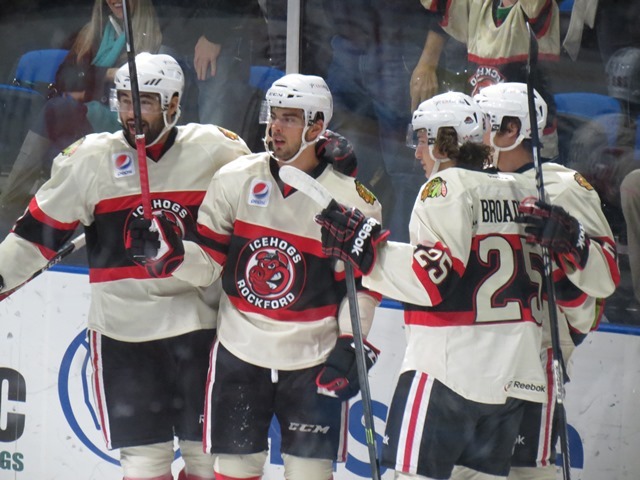 The IceHogs faced a 3-games-in-3-nights set this past weekend as they took on the Oklahoma City Barons in 2 contests at BMO Harris Bank Center then traveled to Iowa to take on the Wild.